Around this time last year, you might have come across a bottle of Booker’s Rye at your local liquor store and done a double take And you would not have been blamed for thinking something like: “$300 for a bottle of rye whiskey that no one has ever tasted? They must be joking.” In fact, that was the sentiment in the comments section on a lot of whiskey review sites. But that’s before Jim Murray’s Whisky Bible named it the Whisky of the Year in mid-October. 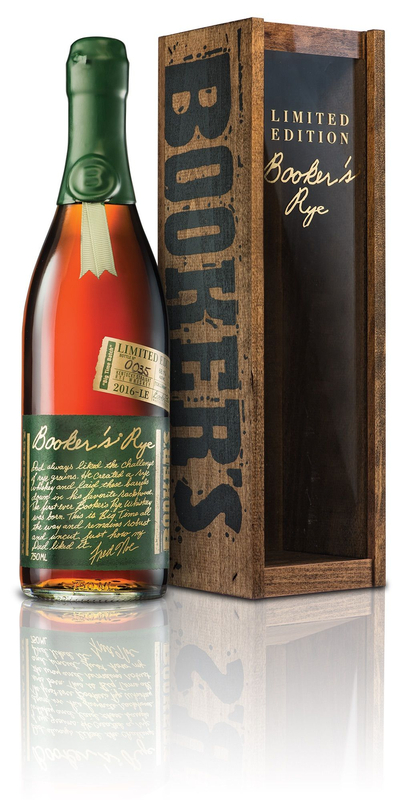 Factor in the overheated bourbon and rye whiskey secondary market, the fact that it was a one-off release, and that Booker Noe himself took his 13-year rye whiskey recipe to the grave in 2004, prices rose. You might be lucky to find a bottle for about $800 today. But if you are still looking for this “unicorn” bottle, you may be in luck. Beam Suntory just announced it is making 276 bottles of the sought-after whisky available immediately in an effort to raise money for people affected by Hurricanes Harvey and Irma. A spokeswoman says 100 percent of the company’s proceeds from the sales will be donated to local Feeding America food banks and Operation BBQ Relief. And guess what? Beam Suntory is sticking with the suggested retail price of $299, just like in 2016. Now in the whiskey business, “proceeds from the sales” are much less than proceeds from a store’s sale price. We might be talking about $20,000 for hurricane relief. But still this is great news for whisky fans. The liquor company is making a nice donation, and you have a chance to snag a bottle you probably moved from the “nice to have” list to the “in your dreams, buster” list months ago. So if you have a chit with a local liquor store that happens to have some pull in the market, now is the time to call it in. You may just be rewarded for your patience with the best whisky produced in recent years. There’s more than one caveat, however. Beam Suntory says it has not yet decided which markets will get a taste of the held-back stash. Nor will the company have any say, beyond a “suggestion,” of what price the whisky will fetch at your local store. At Julio’s, the bottle will go into the store’s version of a lottery. “Because it’s so sought-after,” Maloney says, “that’s the fairest way to do it.” That’s how they sold Booker’s Rye the first time, after all. So keep an eye out. If you’re lucky, you should be able to buy the bottle at close to the suggested price. If you’re unlucky, well, you’ll just join the rest of us in wishing we had grabbed a bottle last summer.